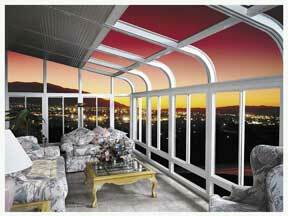 Be warmed by sun light during the day or at night under the stars. Besides the extra space you will enjoy, they can also be used as a Green House, Spa Enclosure or Solarium. 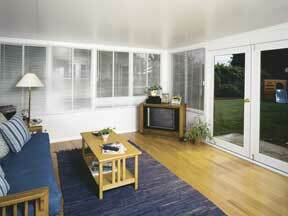 Use as a Garden, Exercise or Leisure Living Room. Enjoy the outdoors & be protected from the bugs, sun & harsh elements. This room offers the best of the other 2 rooms and comes with multiple options & upgrades. 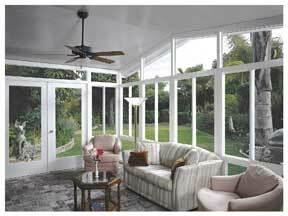 The traditional classical design provides ample light, while giving you a luxurious & airy feel. 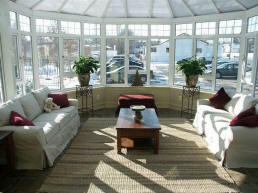 Exceptional quality & design insures you will enjoy year round comfort. Call 877-700-7666 for your free in home estimates.